Our product range includes a wide range of natural light poly sheet, colour coated galvanize sheet and metal decking sheet. Our organization has successfully expanded its business in market owing to the offered elevated quality array of Natural Light Poly Sheet. Widely praised for its salient features like shatterproof and light weight, offered poly sheet is designed using optimum quality polycarbonate and cutting edge technology by our adroit professionals. 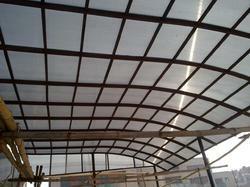 Available in various sizes and designs, this poly sheet is used in areas where natural light is needed through the roof. Backed ourselves with sound amenities and talented personnel, we have emerged as one of the leading firms of superior quality of Colour Coated Galvanize Sheet. 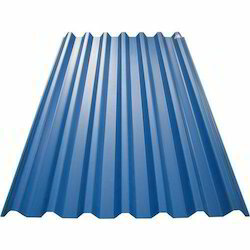 Available in variegated sizes and specifications, this galvanize sheet is designed utilized the finest quality galvanize and innovative technology by our adept professionals. Paint coating provides additional protection to withstand harsh weather conditions and other factors affecting longer life, offered galvanize sheet is tested by our quality controllers in order to ensure its flawlessness. 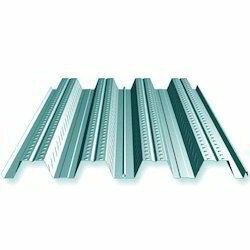 Our organization is engaged in supplying optimum quality Metal Decking Sheet. Designed using the finest quality raw materials and innovative technologies under the vigilance of our adroit professionals in line with set industry norms, this sheet provides savings in concrete and reinforcement steel. Owing to its exceptional effectiveness, offered sheet is available in various sizes specifications. Clients can avail the offered sheet from us at nominal prices.